Artist's depiction of cave painting of primitive hunt (stock image). Biogeologists have shown how Gravettian people shared their food 30,000 years ago. Předmostí I is an exceptional prehistoric site located near Brno in the Czech Republic. Around 30,000 years ago it was inhabited by people of the pan-European Gravettian culture, who used the bones of more than 1000 mammoths to build their settlement and to ivory sculptures. Did prehistoric people collect this precious raw material from carcasses -- easy to spot on the big cold steppe -- or were they the direct result of hunting for food? This year-round settlement also yielded a large number of canids remains, some of them with characteristics of Palaeolithic dogs. Were these animals used to help hunt mammoths? To answer these two questions, Tübingen researcher Hervé Bocherens and his international team carried out an analysis of carbon and nitrogen stable isotopes in human and animal fossil bones from the site. Working with researchers from Brno and Brussels, the researchers were able to test whether the Gravettian people of Předmostí ate mammoth meat and how the "palaeolithic dogs" fit into this subsistence picture. The discovery of an Anglo-Saxon sword this summer was cause for great excitement at the Barrow Clumpexcavation. We were keen to learn as much as possible about this 6th-century weapon, although the degree of corrosion on the sword and the fact that it was contained within the remains of its wood and leather scabbard meant that we would need to use an x-ray machine to do so. Being 85 cm in length, the sword was too large for our in-house x-ray facilities here at Wessex Archaeology, so the Army, through Captain Doe and Sergeant Potts, kindly offered to undertake the work using equipment based at a Field Hospital Unit in Aldershot. Transportation of the sword was closely supervised by our Conservator, Lynn Wootten, and the Project Manager for Barrow Clump, Phil Andrews. 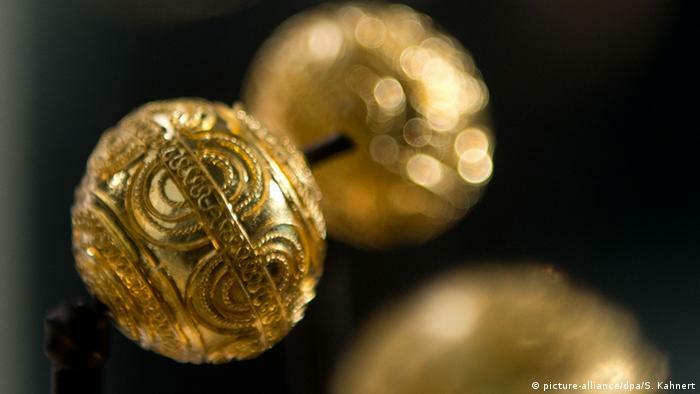 HAS ONE OF HARALD BLUETOOTH’S FORTRESSES COME TO LIGHT? 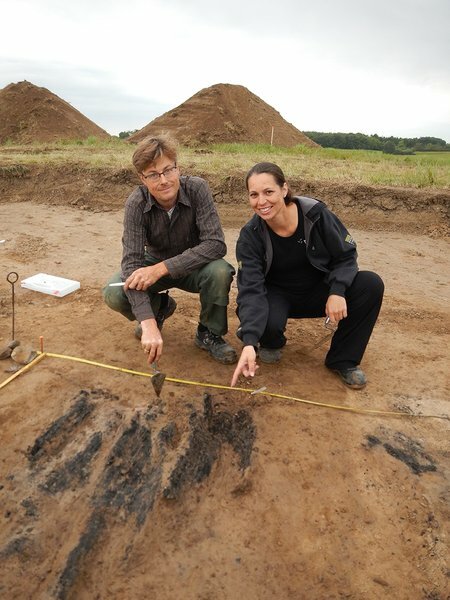 In September 2014, archaeologists from the Danish Castle Centre and Aarhus University announced the discovery of a Viking fortress in a field belonging to Vallø Manor, located west of Køge on the east coast of Sealand. This was the first discovery of its kind in Denmark in over 60 years. Since then, archaeologists have been waiting impatiently for the results of the dating of the fortress. Now the first results are available, and they will be presented at a seminar at Aarhus University on 18 November. 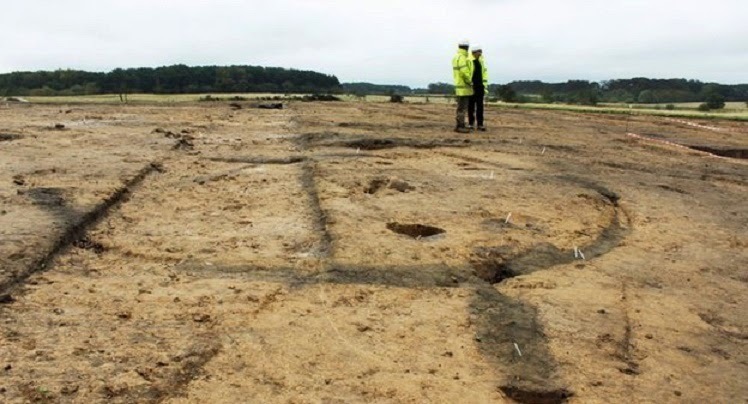 “When the discovery was published back in September, we were certain that we had found a Viking ring fortress, but since then there have been intense discussions online and amongst archaeologists about whether we were right. 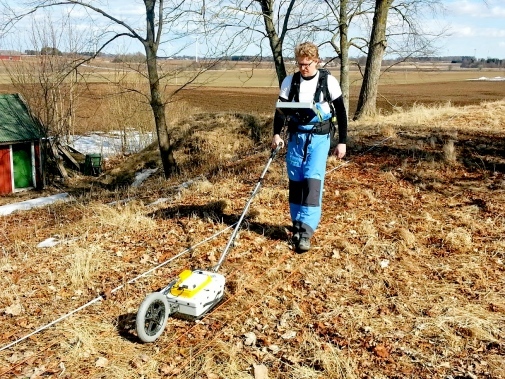 Now we know without doubt that we have found a fortress from the 10th century,” says archaeologist Nanna Holm, curator of the Danish Castle Centre. 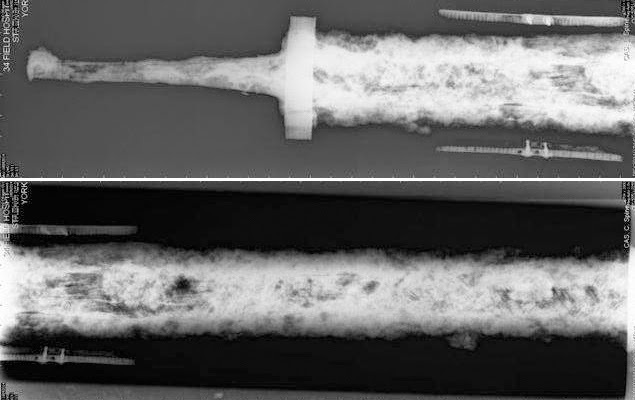 Archaeologists have used an army field hospital’s x-ray machine to examine a corroded steel sword, confirming the pattern of the weapon alongside a spearhead and shield core found at a burial site on Salisbury Plain. The 85 centimetre blade was found with the grave goods at Barrow Clump, a 40-metre cemetery where 27 bodies – including the remains of Anglo-Saxon warriors – were discovered in 2012. 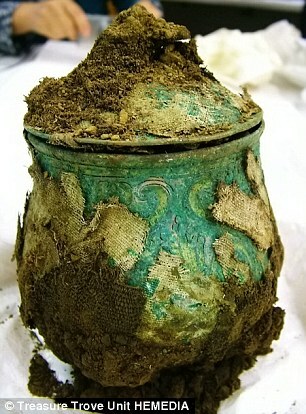 “The sword was too large for our in-house x-ray facilities,” reflects Laura Joyner, of Wessex Archaeology, who says the sword caused “great excitement” at the excavation. 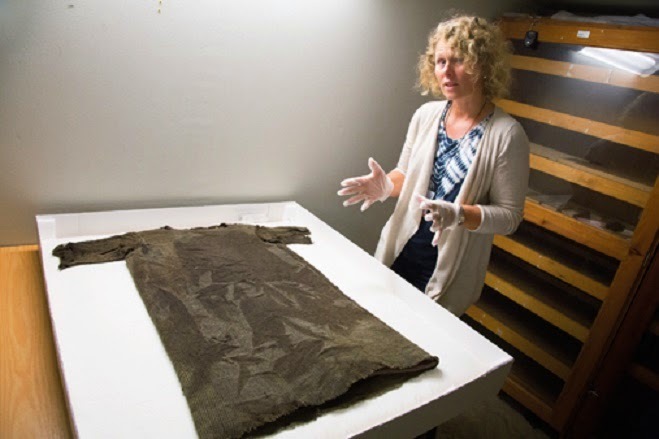 A few years ago, the oldest known piece of clothing ever discovered in Norway, a tunic dating from the Iron Age, was found on a glacier in Breheimen. Now about to be reconstructed using Iron Age textile techniques, it is hoped the tunic will inspire Norwegian fashion designers. There was huge excitement among archaeologists when, three years ago, the oldest piece of clothing ever discovered in Norway – a woollen tunic – was found by an archaeological expedition to the Lendbreen glacier in Breheimen National Park. As a result of climate change, the Lendbreen glacier, just like other glaciers throughout Norway, has in the past few years been retreating. The melting of the glaciers is constantly revealing ancient artifacts. When archaeologists discovered graves in Poland where the dead had been buried with sickles across their throats and rocks under their chins, they assumed the unfortunate victims were suspected vampires. But a new study suggests they actually died of cholera, and villages were afraid they would rise from the dead, bringing the deadly disease back with them form the underworld. In post-medieval northwestern Poland little was understood about how diseases spread and it was thought the first to die in deadly outbreaks would return from the dead as vampires. So they were subjected to funerary rites involving traditional practices intended to prevent evil. 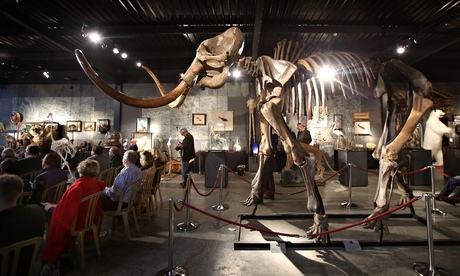 A rare woolly mammoth skeleton has been sold for £189,000 at auction. 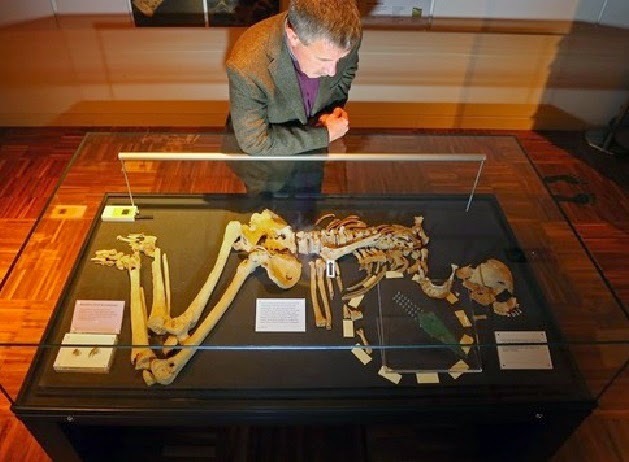 The skeleton, named Monty, is one of the most complete of the species and was bought by a private UK buyer at the sale by Summers Place Auctions in West Sussex. It stands 3.5 metres tall and is 5.5 metres long (11ft tall by 18ft long), suggesting it may have been a male that weighed up to six tonnes. 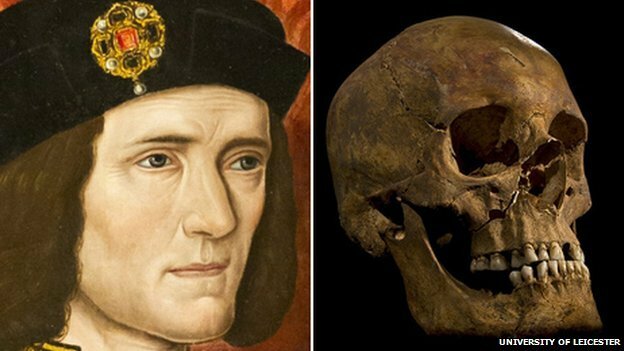 The skeleton, which is 30,000 to 50,000 years old, was estimated to command a price of between £150,000 and £250,000. 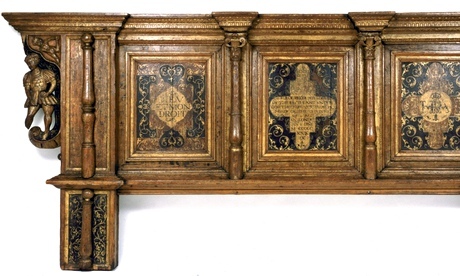 It had been in a private eastern European collection for years and was only assembled, including tusks, for the first time when it came to the auction house. 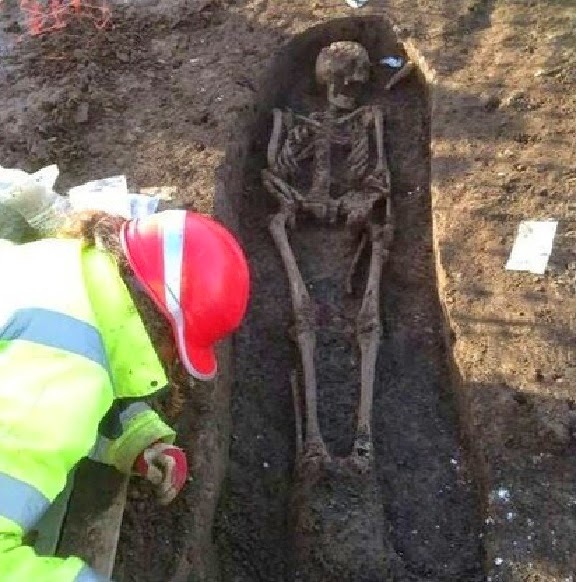 Twenty one skeletons of Anglo Saxon people have been found – just one foot under the ground – during an archaeological dig in Exning. The skeletons were found on land at Burwell Road in Exning, alongside a spear, a glass bowl, gold plated brooches, a cloak pin, and a dagger, some of which is thought to have come from as early as 7AD. 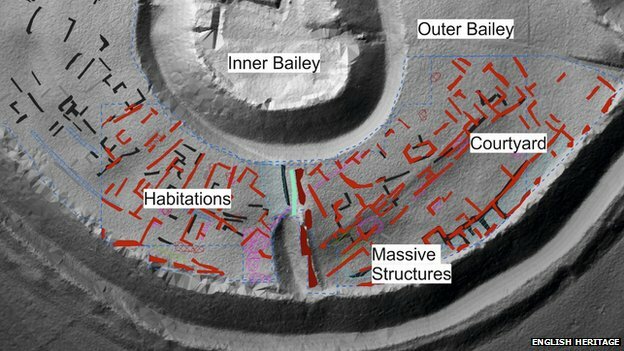 The dig was carried out by Archaeological Solutions on behalf of Persimmon Homes, who have outline permission to build 120 homes on the site. 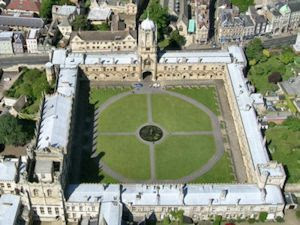 Andrew Peachey, post excavation manager for Archaeological Solutions, said: “The focus of the dig was of 20 Saxon graves. In those, we found 21 remains with one being a double burial. French and Italian archaeologists digging out a pottery workshop in Pompeii have brought to light 10 raw clay vases, revealing a frozen-in-time picture of the exact moment panicked potters realized they were facing an impending catastrophe. The vases were found sealed under a layer of ash and pumice from Mount Vesuvius' devastating eruption of 79 A.D. and it appears they were just ready to be fired. Scientists will have to find alternative explanations for a huge population collapse in Europe at the end of the Bronze Age as researchers prove definitively that climate change - commonly assumed to be responsible - could not have been the culprit. 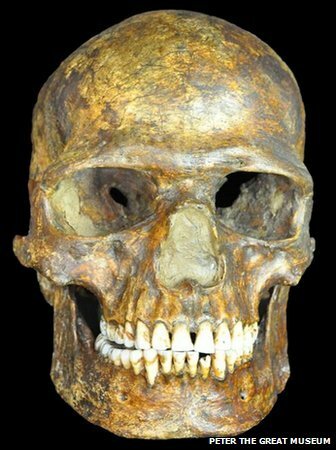 In an extensive, multi-institution study led by SUNY Downstate Medical Center, researchers have identified new evidence supporting the growing belief that Neanderthals were a distinct species separate from modern humans (Homo sapiens), and not a subspecies of modern humans. The study looked at the entire nasal complex of Neanderthals and involved researchers with diverse academic backgrounds. Supported by funding from the National Science Foundation and the National Institutes of Health, the research also indicates that the Neanderthal nasal complex was not adaptively inferior to that of modern humans, and that the Neanderthals' extinction was likely due to competition from modern humans and not an inability of the Neanderthal nose to process a colder and drier climate. 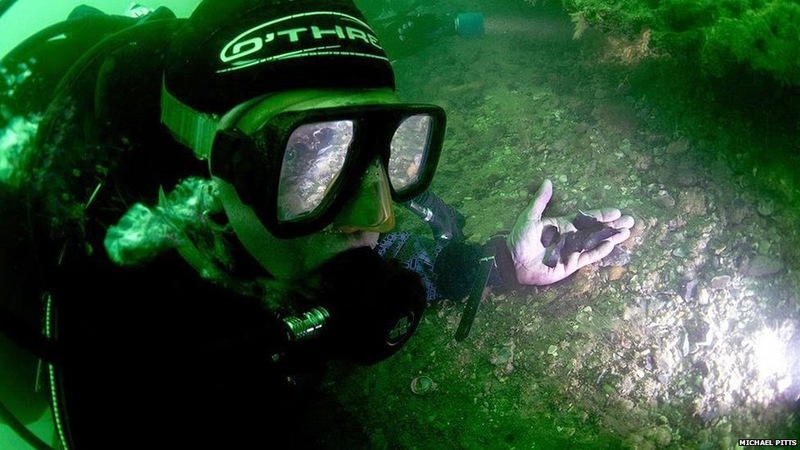 In 1999, a team of divers off the Isle of Wight came across a lobster busily digging out its burrow. To their surprise they found it was kicking out flints from the Stone Age. However, archaeologists now fear artefacts dating back more than 8,000 years are simply being "washed away". Bouldnor Cliff is a submerged Stone Age settlement off the coast of Yarmouth which was covered in silt as great sheets of ice melted at the end of the last Ice Age. It is an important site because the muddy conditions have helped preserve organic materials from the distant past that do not normally survive on dry land. 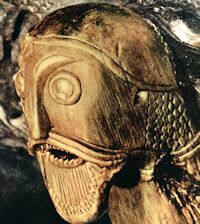 Accidentally discovered by a French farmer plowing his field near the village of Berthouville in rural Normandy in 1830, the spectacular hoard of gilt-silver statuettes and vessels known as the Berthouville Treasure was an ancient offering to the Gallo-Roman god Mercury. Following four years of meticulous conservation and research in the J. Paul Getty Museum’s Antiquities Conservation Department, the exhibition Ancient Luxury and the Roman Silver Treasure from Berthouville, on view at the Getty Villa November 19, 2014, to August 17, 2015, will present this unique collection of ancient silver in its full splendor and offer new insights about ancient art, technology, religion, and cultural interaction. A pre-historic woven reed basket found last week in North Uist is to be excavated by specialist archaeologists within the next few days. The discovery, made by a local resident, has excited islanders and archaeologists for its rarity and excellent state of preservation. It was found last week, exposed in sediment on a stretch of beach at Baile Siar after recent gales. Storms frequently expose the remains of ancient settlements in this area. The basket, about half a metre in length, contains a handful of worked quartz stones, and a handful of diverse animal bones. Local archaeologist Kate MacDonald of Uist Archaeology spoke of her excitement at the find. She said: “It’s rare to find well-preserved organic material. It indicates that this basket must have been kept under water from the day that it was placed, or lost, there. Perhaps it was in a freshwater loch until it was covered over by encroaching beach sediment. The genetic ancestry of the earliest Europeans survived the ferocious Ice Age that took hold after the continent was initially settled by modern people. That is the suggestion of a study of DNA from a male hunter who lived in western Russia 36,000 years ago. 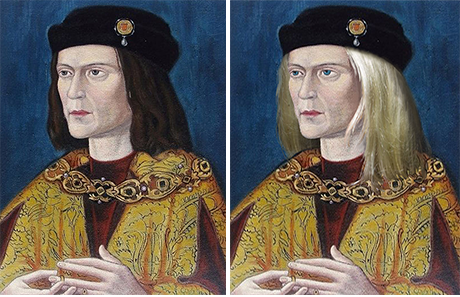 His genome is not exactly like those of people who lived in Europe just after the ice sheets melted 10,000 years ago. 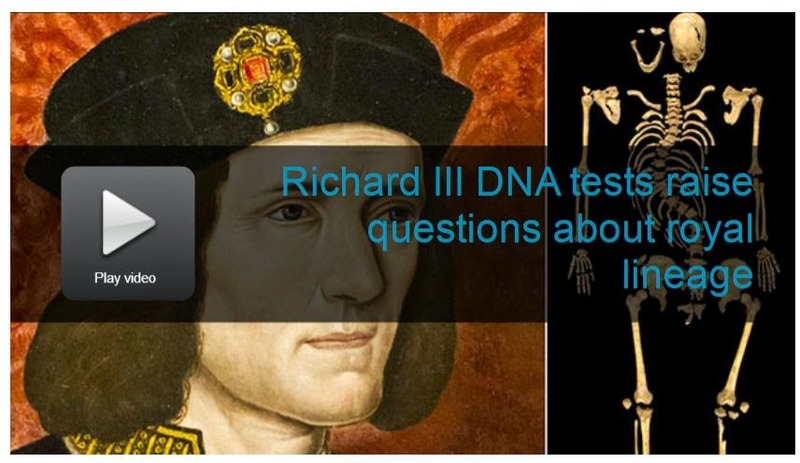 But the study suggests the earliest Europeans did contribute their genes to later populations. 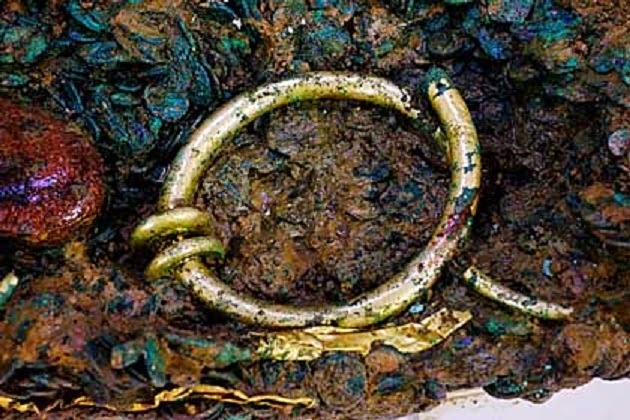 The recently discovered Viking Hoard in Dumfries is arguably the most significant archaeological find in Scotland in the last 100 years. Watch as we get the first glimpses of a pot which has lain undisturbed for over 1,000 years, courtesy of a CT scanning machine. 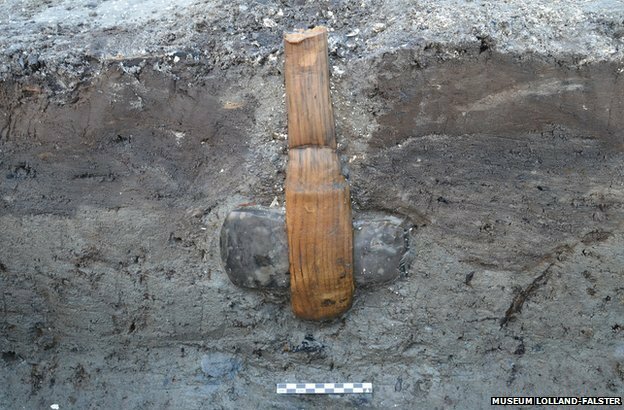 A group of large oak timbers probably from a substantial, dismantled timber tower has been discovered buried in the coastal sand flats at Hunterston Sands, North Ayrshire (west Scotland). Initial tree ring (dendrochronological) dating suggests at least one of the timbers is around 800 years old, making this a very unusual find. The timbers offer the potential to reveal much about the nature of the building they were part of, about the woodland they were cut from and about historic carpentry of a lost age. The strategic coastal position on the outer Firth of Clyde, during the reign ofAlexander II in the early 13th century AD, located on the estate of one of Scotland’s oldest families adds to the mystery and potential importance of the remains. A fertility genius in “amazing” condition, believed to be a local deity thousands of years ago, and the carved heads of male and female Roman gods have been found by archaeologists digging at a village in Cumbria. 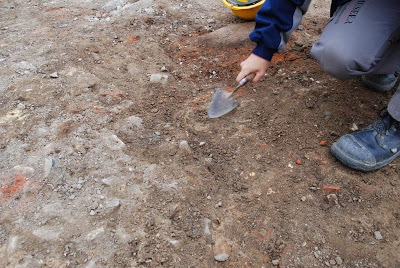 The vague outline of an altar can be seen below the hand of the genius, unearthed in a 2,500-square metre area at Papcastle, where the 2009 floods gave excavators the first glimpses of Roman remains. A cap worn by the male statue comes from thePhrygian kingdom in modern-day Turkey, meaning the figure could be Mithras, who was worshipped in the north between the 1st and 4th centuries AD. Archaeologists are also speculating that he could be the Greek god Attis, which would be likely to identify the female head asCybele – Phrygia's only known goddess.